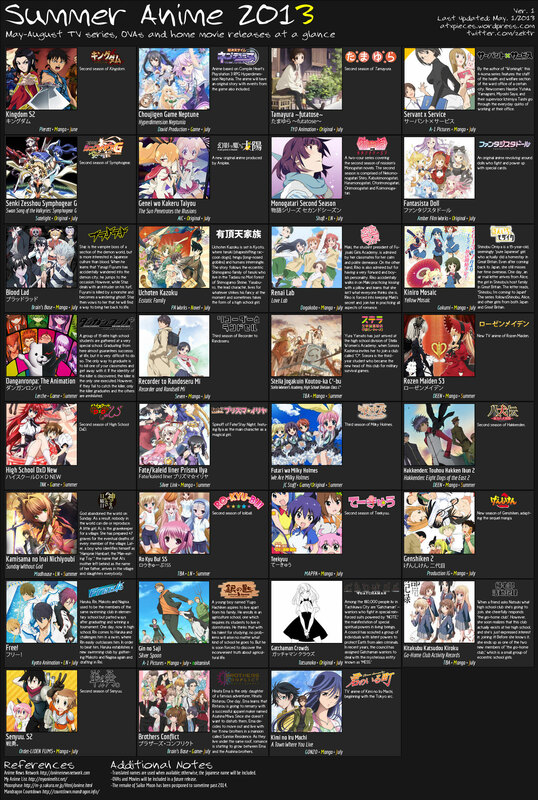 Summer 2013 anime preview chart by Atxpieces. Click image for full size. Looks like a quiet season. The interesting one is perhaps Free! by Kyoto Animation. They are doing boys high school stories instead of girls (as they usually do) this time.